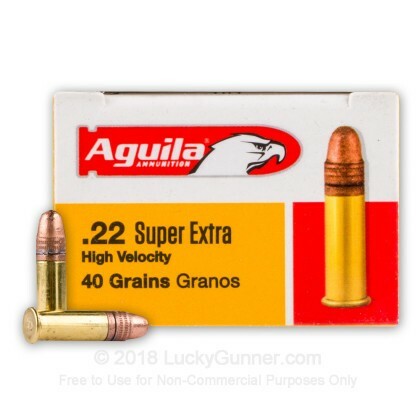 This 22 LR cartridge from Aguila’s Super Extra line of ammunition is capped with a 40 grain projectile, the commonest weight for its caliber. 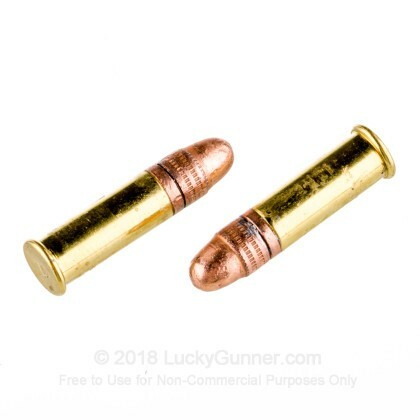 The bullet’s copper plating protects its core so as to prevent rapid lead fouling within your pistol’s or rifle’s bore, safeguarding accuracy and lessening the need for frequent cleanings. It further promotes smooth feeding. 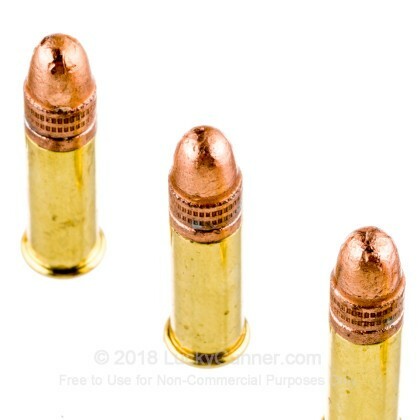 This bullet’s solid point and round nose profile enable it to penetrate targets effectively, but not to expand within a soft target. Further bolstering this round’s penetrative capability is its fast 1,255 fps muzzle velocity. Such speed conveys an appealingly flat trajectory as well. If you’re going to do a little sniping with your 22, then this round delivers the accuracy you need to punch a satisfying hole through the bull’s eye time and time again. Aguila pays exceptional attention and care to how they manufacture rimfire ammunition. They test theirs to Olympic standards, so even the most discerning shooting enthusiast will be hard pressed to find some deficit in this hard-working little cartridge’s performance. 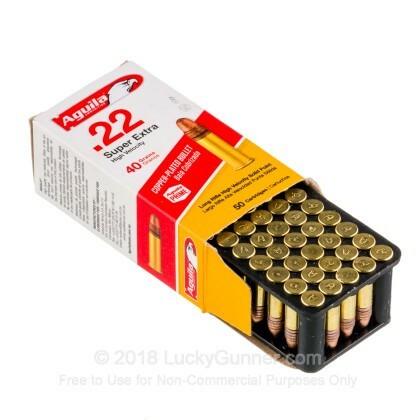 We don't have any reviews yet for this particular .22 Long Rifle (LR) ammo from Aguila. 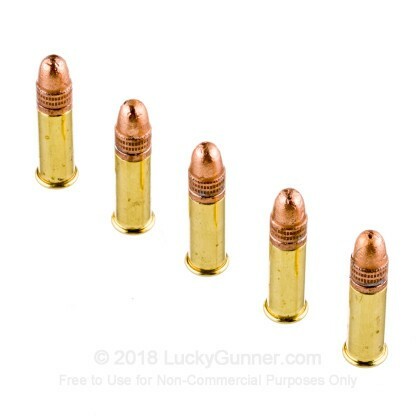 If you'd like to be the first to review this particular .22 Long Rifle (LR) ammo from Aguila, fill out the form below. 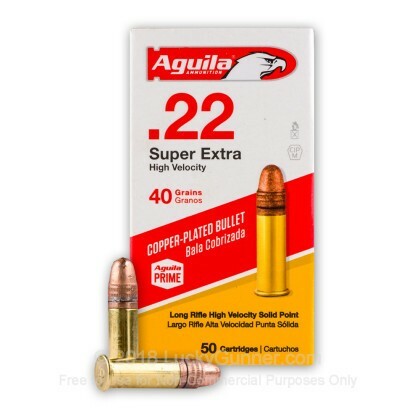 We also have this 22 LR - 40 Grain CPRN - Aguila Super Extra - 50 Rounds ammo in stock in a smaller quantity. We also have this 22 LR - 40 Grain CPRN - Aguila - Super Extra - 500 Rounds ammo in stock in a smaller quantity.